Alexander Alekhine, a lawyer, was no chess prodigy but had to train hard over many years and he suffered many drawbacks until he reached his outstanding playing strenght. He had a very good memory and broad chess knowledge as he was reading a lot of chess magazines. In his games he liked to seize the initiative and showed his brilliant attacking style. 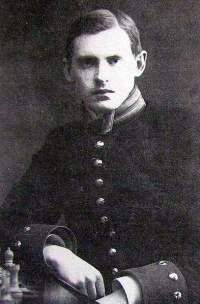 During world war 1 in August 1914 he was interned in the German cities, Mannheim, Ludwigshafen, Rastatt and Baden-Baden. It was very boring in prison and there were no books, no newspapers and of course, no chess board. So he began to play chess mentally without board with chess master Bogoljubov who was interned as well. Alekhine was released September 1914 as he was unfit for military and returned to Russia. As he was an aristocrat he was imprisoned in Odessa and sentenced to death. But one of the five judges who had to sign the death sentence recognized the famous chess players and refused to give his signature. But he lost everything he had. They took all his money and he had no right to get food ration cards. He experienced hunger, his clothes fell apart and he looked like a tramp. But he was lucky and got a job as a translator as he spoke French fluently and other languages. His office was in a train and so he traveled all over Russia. One day he had to translate for a swiss writer Annaliese Ruegg, who visited Russia on a lecture tour. Alekhine married her on march 1921 in Moskov. She had good connections in Russia and at the end of her lecture tour she asked the Russian government to allow Alexander Alekhine to leave the country as she was expecting a baby from him. A Russian named Radek gave the permission: "May Alekhine be a counter revolutionist, but he is also a chess genius. His talent can only become effective outside of Russia." Alekhine went to Berlin/Germany with his wife where he started playing chess again and won many tournaments. As he spoke French fluently he finally went to live in Paris where he studied law. But he never worked as a lawyer as he still had no french citizenship as the authorities were too slow. Finally during the match with Capablanca he received the citizenship but when he became world champion he decided to devote his life to chess only and became a chess professional. Alexander Alekhine became World Chess Champion 1927 by defeating "the chess machine" José Raúl Capablanca in Buenos Aires/Argentina. The match lasted 34 games and was going over two months and ended 18.5 : 15.5. The winner would be the one who first won six games. Capablanca was the favorite and Alekhine the outsider. Almost all games, except two, were played with the Queens Gambit Declined. 25 games ended in a draw. Capablanca entered the match with no preparation was overconfident and lost. 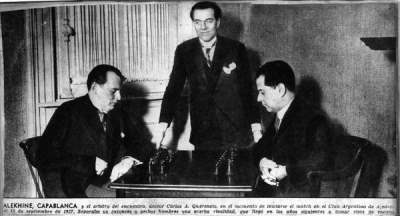 After the match Capablanca spoke negative about Alekhine's chess qualities in the press. Capablanca wanted a rematch under different conditions but it never came to pass as Alekhine didn't want to accept any new rules, but he wanted to play under the same conditions as were put up by Capablanca before the match. They became enemies. After being the new world champion Alekhine had reached his life goal. "My dream has been realized. Capablanca thinks faster than me, but I think deeper." 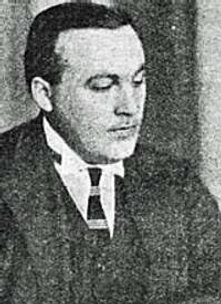 The chess professional Efim Bogoljubow (1889-1952) was a Russian German chess grandmaster who received the German citizenship 1927. He was the best chess player in Germany and won many chess tournaments. The loss against Max Euwe was a major upset. Alekhine thought he would win easily and was overconfident. He even drank alcohol before most games. Alekhine never had the chance to play another world championship match as he was found dead at the age of 53 on 24th march 1946 in Estoril/Portugal in his hotel room, sitting on a chair at the table on which the meal from the day before was still placed. An autopsy disclosed that he choked on a piece of meat.